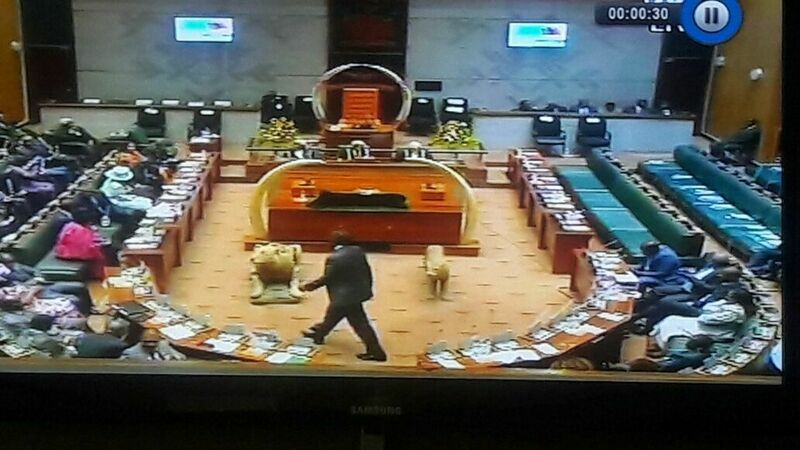 All UPND members of parliament except Chilanga MP Keith Mukata have boycotted the so called State of the Nation address by Edgar Lungu this morning. Lungu arrived at the Parliament Building at 10:00 hours, but opposition Members of parliament were absent in the House, except Mukata who just joined UPND from the MMD last year. The UPND has always been advised to adopt loyal, long standing members as MPs instead of traitors just looking at their personal not party interests. The UPND and half the country does not recognise Lungu as president and may only do so if the Constitutional Court hears and determines who won the last elections. Maybe Mukata has recognised Lungu that is why he remained in parliament.